The Goon RDA is the product of a collaboration between 528 Customs and a coil builder on Instagram named BlueEyedGoon83.The result of this is a well-made RDA with a slightly different, but awesome build style. This RDA is fast becoming a popular item and for good reason. I have had this RDA for about a week now and I am loving it. I love the clamp-style build deck. It is so easy to use. I thought it would be more complicated than it was. I was surprised that I could build a dual coil build and fit it in so easy. I had heard there was a learning curve to it if you were used to velocity or Kennedy-style decks. Well, I think it’s great and so simple that even a new builder could do it. The clamps raise right up to allow your leads to be fitted underneath and tighten down to hold your build in securely. I have used both single and dual builds in here and both work well. The clamps accommodate thicker wire gauges and twisted wires for making Clapton coils. Plus I like the Phillips-head screws, they the are a perfect size and I had no trouble unscrewing them or tightening (no stripping). Here are the specs for this device and a little bit about how it vapes. The build quality of this RDA is beautiful. It’s machined perfectly and the threads are smooth. The O-rings keep everything nice and tight-fitting, but not too tight. The barrel and drip tip is easy to remove for dripping juice or tightening coils. I like the etched logo for 528 Customs on the side, it looks very stylish. The build deck on the Goon RDA is nice and big. I had plenty of room for large builds without any squeezing. Clapton coils fit perfectly in there and it is really easy to build on. If you have just started building coils this deck is a little different than the velocity-style decks but once you’ve done it it is easy-peasy. One thing I totally love about this RDA is the deep juice well. I didn’t have to leave my wicks long to wick up the juice, as long as the tails touch the bottom of the well they wick perfectly. Also, I can drip a whole milliliter of juice in it with no leaking or spit back. As for durability, it is constructed of stainless steel and extremely durable. The barrel and top cap of this unit resist scratching and dents. I have dropped this RDA a time or two while changing to a tank. A 3-foot drop from my desk table and it didn’t show a single mark. This dripper is easy to use and easy to build on. All the pieces fit together perfectly with no problems. The adjustable pieces turn smoothly like the airflow control and the removable barrel section sits on top the lower build deck instead of coming down over it. I put a 0.5 dual coil build in this RDA and the clouds and flavor were fantastic. The vapor is dense and thick and the flavor is good. The airflow control settings work perfectly for me. I like to vape it with one hole closed off, it does have a slight whistle to it, but if I turn it just a hair, it stops. I can live with it, it’s not a dealbreaker for me. I also like that I can use it in single or dual coil mode. I use dual coils most often but there are sometimes when I’m in a hurry and just throw in a single coil. So I am glad they included that option. There is no leaking at all since the airflow is near the top. The barrel also sits on top the lower deck so there is nowhere for the juice to leak out of. Unless you laid it on its side when it was freshly juiced, it shouldn’t leak at all. The draw on this is smooth and it makes tons of clouds. 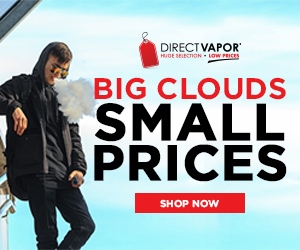 I think the increased airflow definitely helps to make voluminous clouds of vapor. Also, a tip that I got from another builder was to keep your wicks to the side with this RDA. The unrestricted airflow beneath the coil helps improve flavor and vapor production. The flavor from this dripper is as good as it gets in my opinion. An RDA is known to produce some of the best flavors and this one is no exception. Fruit flavors are crisp and sweet and taste just like drinking a juice box as a kid. Those flavors you remember from childhood. 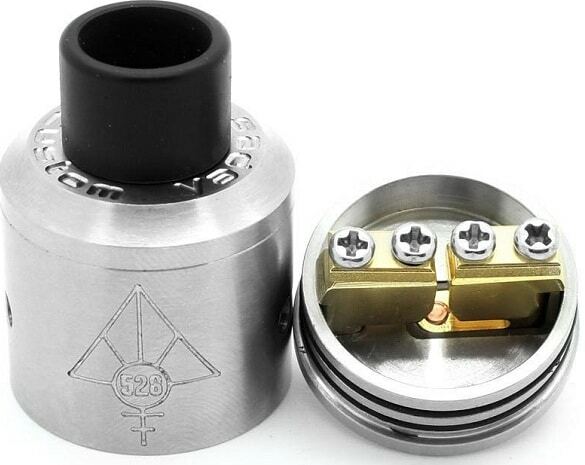 This RDA is priced between $50 – $60 through most online retailers. I feel that this is a high-end piece of vape gear and worth spending a little more for such good quality. This RDA has been a joy to use. I would definitely recommend it to anyone who likes RDAs or is thinking about buying one. It’s so easy to build on and the clamps securely hold your coils in place with no issues. Price-wise, $60 may seem a little steep to some but it’s not for something that is made this well and performs as it does.